Absolutely loved it and would definitely recommend. Perfect way to spend the day in Cairns. 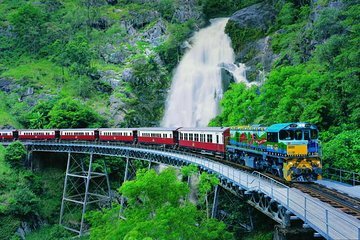 The classic Kuranda railway train was very comfortable, travelled across plenty of picturesque spots along the way. Kuranda village is a very idyllic and cute little spot. The skyrail cable way offered a fantastic experience to view the rainforrest from up above. And Hartley's is an experience not to be missed - offered many experts showing the Cairns quintessential: snakes, cassowary, etc and of course crocodiles.